After decades of experience as a research scientist, Thelma Dunnebacke Dixon considers herself lucky to still be having fun in the role. She loves witnessing change and development, particularly in cells, and has really found her niche at the Viral and Rickettsial Disease Laboratory of the California Department of Health Care Services. 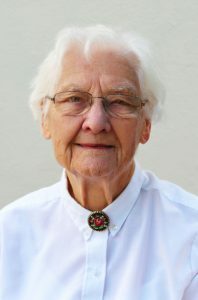 She has worked for the institution since 1976, and previously held the title in the Virus Laboratory at the University of California, Berkeley, between 1954 and 1976. One of the highlights of Dr. Dunnebacke’s journey was having a species of free living amoeba named Naegleria Dunnebackei in her honor. She was also proud to be a grantee of the National Institutes of Health and the National Science Foundation. Dr. Dunnebacke attributes her success to her husband, Jonathan S. Dixon, and to her children, James Dunnebacke, Lindsay Ann, and Frederick Charles, as well as to all the people willing to talk to her and encourage her along the way. Her achievements were featured in various editions of Who’s Who in America, Who’s Who in Science and Engineering, Who’s Who in the West, and Who’s Who of American Women. She hopes to be remembered for her honesty. Dr. Dunnebacke prepared for her endeavors by earning a PhD, a Master of Arts, and a Bachelor of Arts from Washington University in St. Louis in 1954, 1949, and 1947, respectively. Additionally, she joined prominent professional organizations like the American Association for the Advancement of Science, the American Society of Cell Biology, the Society of Protozoologists, the Society for Tissue Culture, and the Electron Microscope Society. Her mentors and influencers include Professor Humberger and Rita Levi-Montalcini. When Dr. Dunnebacke has free time, she enjoys hand crafts, photography, gardening, and painting.